CAD is acting weak versus its American counterpart due to the weak oil prices and BOC decision regarding the rate cuts. 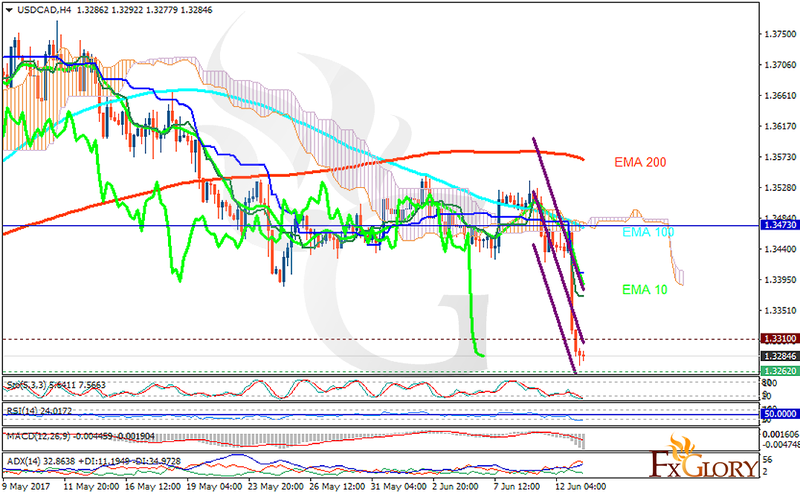 The pair is finding support at 1.32620 with resistance at 1.33100 which both lines are below the weekly pivot point at 1.34730. The EMA of 10 is moving with bearish along the descendant channel and it is located below the EMA of 200 and below the EMA of 100. The RSI is moving horizontally in oversold area, the MACD indicator is in negative territory and the Stochastic is showing downward momentum. The ADX is showing sell signals. The price is below the Ichimoku Cloud and the Chinkou Span. The Tenkan-sen and the Kijun-sen are both showing a horizontal trend. The 1.32 level of support seems to be too strong to be broken also, CAD is not powerful enough to create the correction pattern. Traders can go long at the moment.